What happens when the country’s best journalists’ go wandering about the irregular areas of the rather regular avenues of politics, society, the entertainment industry, sports and women in nighties? Rich and insightful unique perspectives - that’s what. 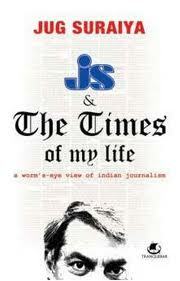 The books listed below are by individuals who have been game changers and idols for journalists across the country. They reflect and bring integrity back to journalistic endeavors and in their own cheeky irreverent way that never ceases to be charming, they take the mundane and prove the pen is mightier than the sword with their alchemical perceptive articles. If you are new to this genre and there is only one book you wish to try, then this hands down, is it. there is only one book by a journalist you wish to read Racy , sharp and the man who cuts right to the nerve of the issue, Jug ‘jughead’ Suraiya. Jugular vein has entertained and amused for many years now. This incredible book chronicles his adventures from being waterless in vasantkunj to his days as the Maharaja of Malabar! Brindle and Bunny also make an appearance as do well known personalities. Semi biographical, this book, as all of his books, are well worth the read. 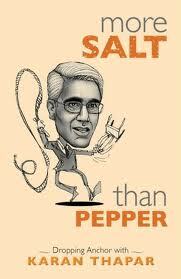 A compilation of columns by the elegant Karan Thapar, written for the Hindustan Times titled Sunday Sentiments. The columns range from the author's perceptive portraits of politicians and celebrities to his reflections on the state of the media and the peculiarities of the English language. He also turns the gaze on himself—sharing with us his eccentricities, his foibles and anecdotes about himself and his family, including his late wife Nisha. There are also pieces here about his Doon and Cambridge days and vignettes from his travels to cities near and far. 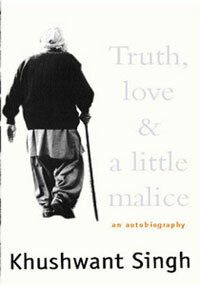 Witty, irreverent, controversial and adoringly entertaining, Khushwant Singh remains unflinchingly forthright. He records his professional triumphs and failures as a lawyer, journalist, writer and member of Parliament; the comforts and disappointments in his marriage of over sixty years; his first, awkward sexual encounter; his phobia of ghosts and his fascination with death; the friends who betrayed him, and also those whom he failed. Tightly edited and well-written Desai’s eruditions are well worth the read. Over the past 25 years, India has moved from a largely impoverished, underdeveloped country to an innovative, fast-changing society. This entertaining and informative book shows how and why. Interest in India has never been greater. Here Shashi Tharoor, one of the subcontinent’s most respected writers and diplomats, offers precious insights into this complex, multifaceted land, which despite its dazzling diversity of languages, customs, and cultures remains—more than 60 years after its founding—the world’s largest democracy. He describes the vast changes that have transformed this once sleeping giant into a world leader in science and technology, a nation once poverty-stricken that now boasts a middle class of over 300 million people—as large as the entire population of the United States! Artfully combining hard facts and statistics with opinion and observation, Tharoor discusses the strengths and weaknesses of his rapidly evolving homeland in five areas—politics, economics, culture, society, and sports—and takes a fresh look at the world’s second most populous country.